His accolades in interior furniture design include an award received in December 2014 for the design of his Elle Ecrite Desk for Riva1920 and was followed by another for the Rainbow Modulare wall unit at the London Design Awards. In May 2014 he was awarded the New York Design Award for his interior dining chair titled, The Tubular Chair. The Bungalow Armchair in hand woven leather was also a finalist. The design practice was born in the field of landscape architecture giving the firm the foundation of its design philosophy; a sophisticated blend of the natural form and clean-line geometry, affectionately titled RAW LUXURY. Durie Design has evolved today into a multi-disciplinary design practice in areas of architecture, interior architecture, landscape, and Durie’s greatest passion, furniture design. Durie’s first furniture collection was designed and created over a decade ago in 2003 and has since retailed in over 200 department stores throughout Australia. After a successful launch into Europe, Durie’s collections continue to sell today in over 16 countries with his latest collection for renowned Milan-based Italian furniture manufacturer RIVA1920 launching at Salone del Mobile, Milan back in April 2013. Since then the collection has doubled with a new collection under development for Riva1920 to launch in Italy, April 2017. The firm has recently completed designing the solid cedar Sakura Bathtub for YTL Hotel Group in Singapore for their new snow Resorts. Durie and his team have created a unique design language and coined it TRANSTERIOR ™ and have become well known for creating seamless transitions between the indoors and out. He stands behind his philosophy of taking the outdoors in and the indoors out, and giving the client the ability of having a greater connection to nature in a sophisticated and carefully considered design environment where the furniture takes inspiration from nature. 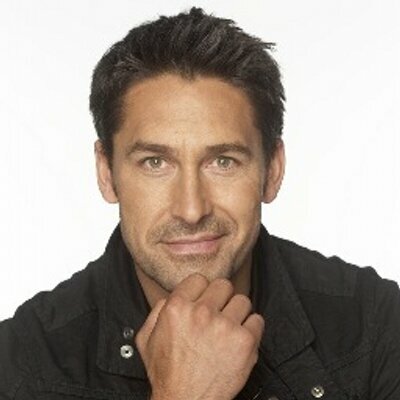 Author of 11 best-selling books including Edible Garden Design – Aust & US editions, 100 Gardens, Jamie Durie’s The Outdoor Room, Outside with Jamie Durie, The Source Book Editions 1 & 2, Inspired, Outdoor Kids, The Outdoor Room and Patio—Garden Design). Jamie has recently launched his 12th book title, and his first one on interior design, LIVING DESIGN published in Australia by Penguin Lantern Books. Jamie has hosted over 52 primetime design shows worldwide aired in over 90 countries, and has hosted The Outdoor Room, Green Home TV shows among many others since his debut as a regular celebrity designer guest for 4 years on the Oprah Winfrey show. His latest original TV series, “Outback Nation” started airing this April on the FYI network, where Durie transforms unruly outdoor spaces into backyard sanctuaries. His latest project, about to go into production is an interior/exterior design show designing for private home weddings titled “Love Grows”. Jamie splits his time between his design studios in Sydney and Los Angeles, and continues to work with several hotels, resorts and commercial projects currently spanning 17 countries. Jamie is a committed environmentalist working with numerous organizations dedicated to conservation and environmental responsibility. Some of these organizations include The United Nations World Environment Day, The Australian Conservation Foundation, Greening Australia, Planet Arc (National Tree Day, 17 years), FSC (USA & Australia), Green Peace, Earth Hour and many more. In 2008, Durie was one of 200 selected in Australia to be trained by former Vice President Al Gore as a Climate Change Presenter. Through this he is updated with the latest statistics quarterly. The organization has now touched millions through ambassadors globally. It is now titled The Climate Reality Project. He also hosted the Australian Conservation Foundation’s Spirituality and Sustainability Forum with His Holiness the Dalai Lama, and is an ambassador and former board member of the Royal Botanic Gardens Foundation, Sydney. In honour of his work over the last two decades, Durie was awarded the Medal of the Order of Australia in 2012 for services to the environment and design and in 2004, he received the Centenary Medal for services to the environment, television, and the community. Proven Winners USA Garden Centre Tour, live appearances and environmental lectures to 20 top USA garden centers in 20 States. Planet Ark National Tree Day Ambassador, featured in radio, supported by media Australia wide. Planet Ark National Tree Day Ambassador, featured in TVC, public tree planting appearances, supported by media Australia wide. Resurgence Hosted Environmental Appearance and lecture by Satish Kumar, Avalon, Sydney. Global Green Oscar Party in Hollywood. Singapore Institute of Architects Environmental lecture. National Australia Bank Online Environmental Presentation, Melbourne, exposure 42,000 people. Origin Energy Climate Change Presentation at Melbourne Museum for 1800 people. Al Gore Climate Change Presentation Speaking Engagement, De Lorenzo to 1500 people. Do Something Paper-less Alliance campaign. Australian Conservation Foundation Appearance with the Dalai Lama and planting of a sacred Wollemi Pine, with the Director of the Royal Botanic Gardens, Dr Tim Entwisle. Australian Conservation Foundation Appearance, master of ceremonies and environmental speaker in conjunction with His Holiness, the 14th Dalai Lama for the Spirituality and Sustainability event, Burswood Dome, – Interviewed his Holiness the Dalai Lama, Burswood Dome audience 17,000. Planet Ark Organiser, appearance, speech and Master of Ceremonies for school planting day Hunter Valley gardens approximately 600 children participated. Presentation on the importance of bugs and worms and potting project demonstration for all children. Origin Energy Rooftop Design Garden Installation and launch for on sustainable city rooftops. Royal Botanic Gardens Environmental Speech and appearance at Al Gore An Inconvenient Truth screening at the Moonlight Cinemas, Royal Botanic Gardens. Royal Botanic Gardens Wydnham Wines Vine Opening – speech and appearance and vine planting in conjunction with Her Excellency, Governor of NSW. Backyard Blitz Environmental school makeover in conjunction with General Peter Cosgrove, Innisfail, Queensland. Planet Ark Environmental lecture in Melbourne. Mount Annan Botanic Gardens Design and donation of sculpture to the Australia Native section, of Mount Annan Botanic Gardens, valued at $300,000. Appearance, speech and opening with Lord Mayor, for Sydney design competition, in conjunction with Royal Botanic Gardens, and Sydney in Bloom – televised, radio and print. Planet Ark National Tree Day Ambassador, featured in TVC, public tree planting appearances, with Olivia Newton-John, supported by media Australia wide. Royal Botanic Gardens Sydney Design and Donation of Environmental Sculpture in collaboration with BHP/Blue Scope Steel Awareness for recycled steel and drought tolerant plant species. Permanent installation at Royal Botanic Gardens Sydney. Planet Ark Ambassadorial role to promote the recycling of printer cartridges. Planet Ark Featured in TVC for Commonwealth Games, official charity partner bid (bid successful). AMP Speaking Event on environmental and community based initiative in small business. Planet Ark National Tree Day Ambassador, featured in TVC, public tree planting appearances, supported by media Australia wide. Jamie’s radio campaign encouraged approximately 2000 schools across Australia to sign onto the National Tree Day School Campaign, and as a result, over 375,000 trees were planted out that year. These extensive radio campaigns are a part of Jamie’s ambassador program annually. Greening Australia – Canberra Appearance at Greening Australia Project “Function” Canberra. Judge of the Children’s Frog Habitat Garden Design competition. Royal Botanic Gardens Design and donation of sculpture garden to Cactus and succulent domain, valued at $400,000. National Tree Day appearance on Our House Channel 9 Environmental message. Planet Ark Featured in TVC campaign for biodegradable washing detergent.